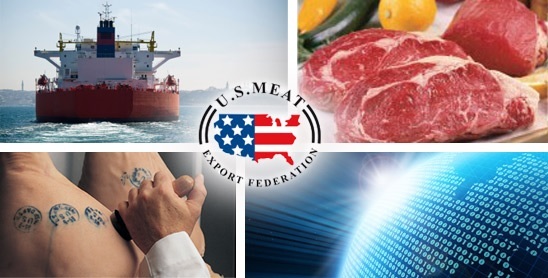 Thus far here in 2018, according to the US Meat Export Federation, each month the export numbers for beef have looked really, really good. Extension Livestock Market Economist Dr. Glynn Tonsor says the latest numbers especially, are just another testament to how well we’re doing with beef exports here in 2018. Breaking down the data compiled by USMEF, Tonsor says the calculations reveal that the estimated value being added to every steer based on trade, is at $328 per head. In other words, assuming you are selling a 1,400 lb. steer, that equates to $23 per cwt of value being added. Listen to Tonsor and Radio Oklahoma Ag Network Farm Director Ron Hays breakdown the numbers behind beef exports and the story of growing protein demand they illustrate, on today’s Beef Buzz. Listen to Tonsor and Hays breakdown the numbers behind impressive beef exports, on today's show.